CyberDodo needs you to use your creativity and design the « CyberDodo Challenge« ! How can you make people talk about CyberDodo? How can you create a (positive) world buzz for CyberDodo’s humanitarian activities? Which challenge can you propose to the world to encourage respect for the Rights of the Child and the Environment? How can we encourage donations to the CyberDodo Global NGO? Our team of volunteers has reflected a great deal on these questions and observed with interest and admiration the different campaigns launched by various entities, some of which have truly been a resounding success, well done to them. Amongst the numerous suggestions on what the Challenge « No longer as dead as a Dodo but as Alive as CyberDodo » could consist of, we have decided that the best way to start 2015 is to ask for your ideas! Because we have numerous members on www.CyberDodo.org, more than 200,000 fans on Facebook, volunteers on all the continents, etc. it is impossible that with all of this goodwill, this creativity and these intelligent people, we will not be able to find THE good idea. By sending us your idea in a photo, a drawing or in writing. Due to the importance of this « competition », we have pre-selected 3 prizes and our grand prize winner will get to choose his or her prize out of these: a SONY PS4 game console, a PARROT AR 2.0 drone or an IPad mini tablet! 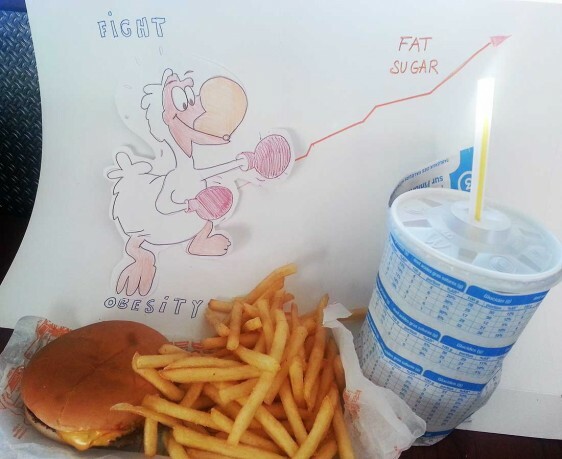 Hearty congratulations to Julien from France who won our September/October 2014 competition on the theme of the fight against obesity. Julien has won a magnificent SONY PS4 console!